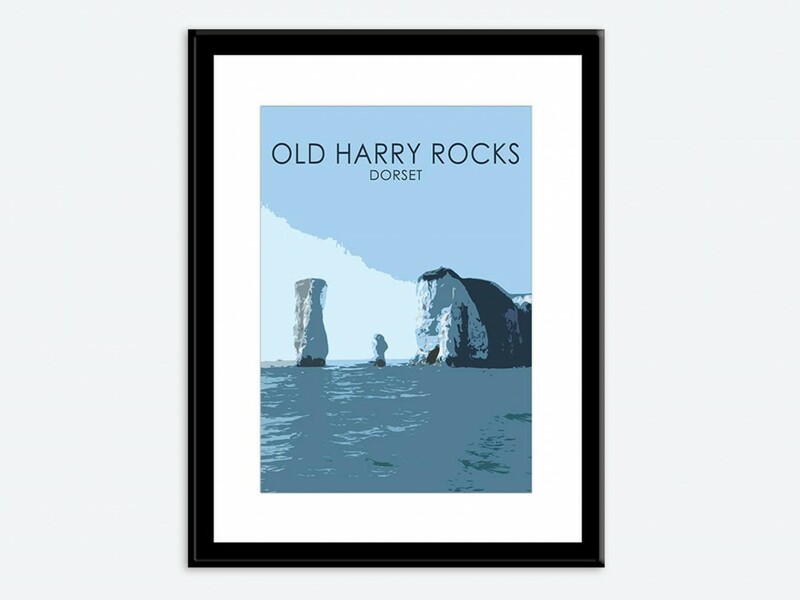 Old Harry and his wife, as they're known, are part of the Jurassic Coast and can be found just off the Studland coast, between Poole and Swanage. 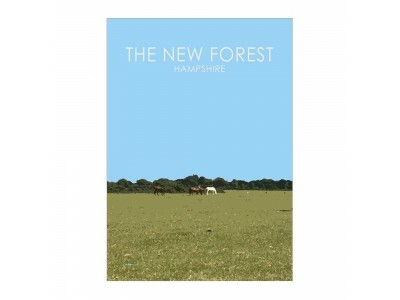 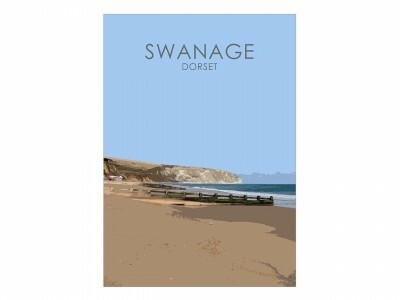 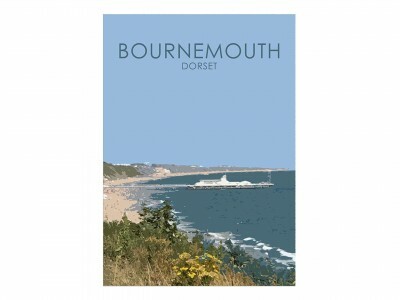 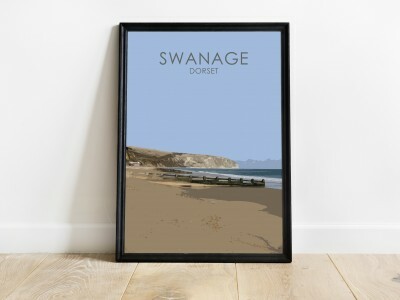 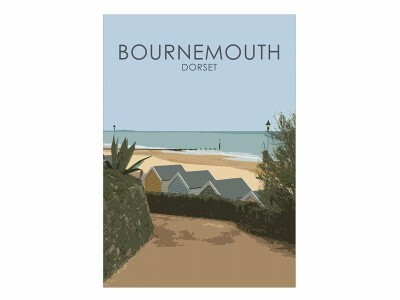 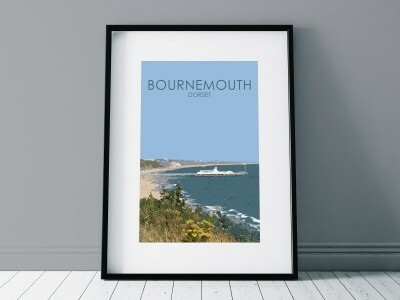 They are visible from everywhere along the Bournemouth coastline but, from the east, are most clearly seen from Sandbanks. 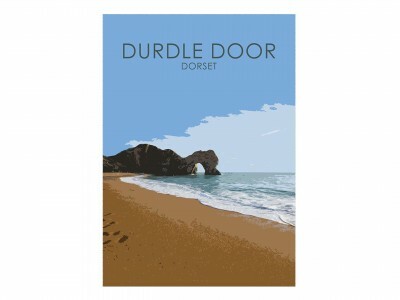 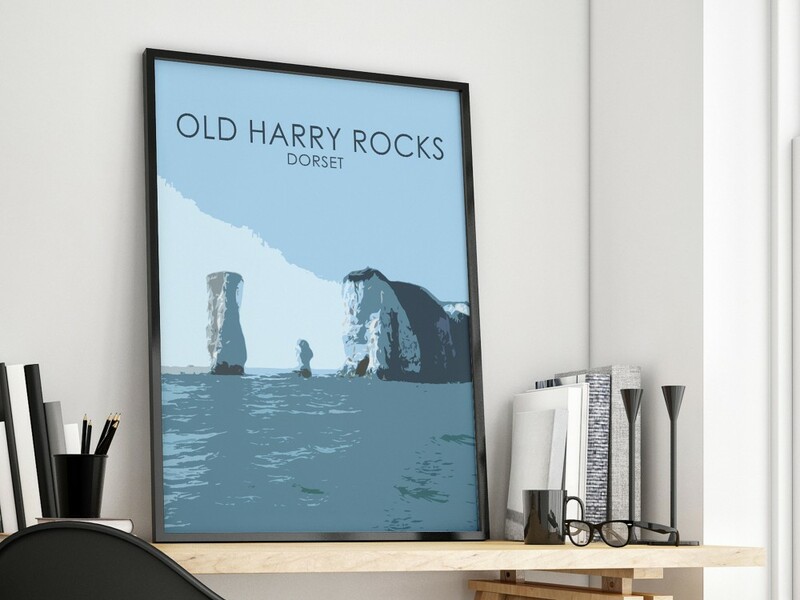 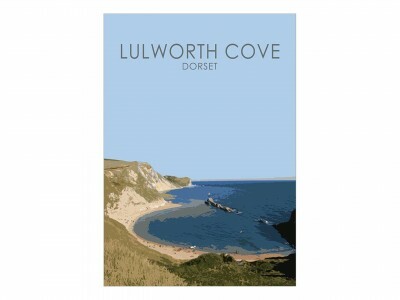 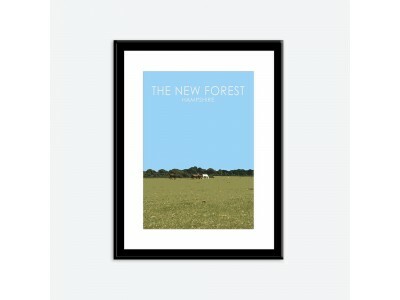 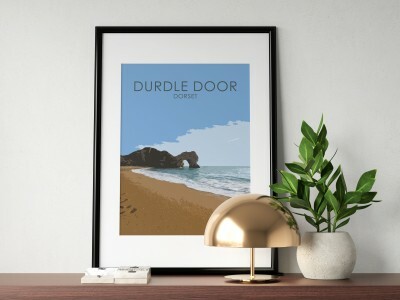 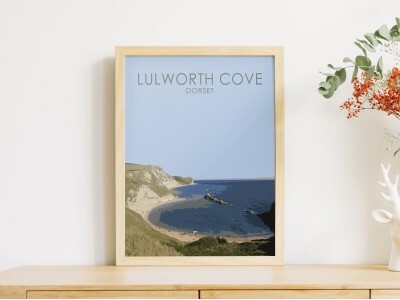 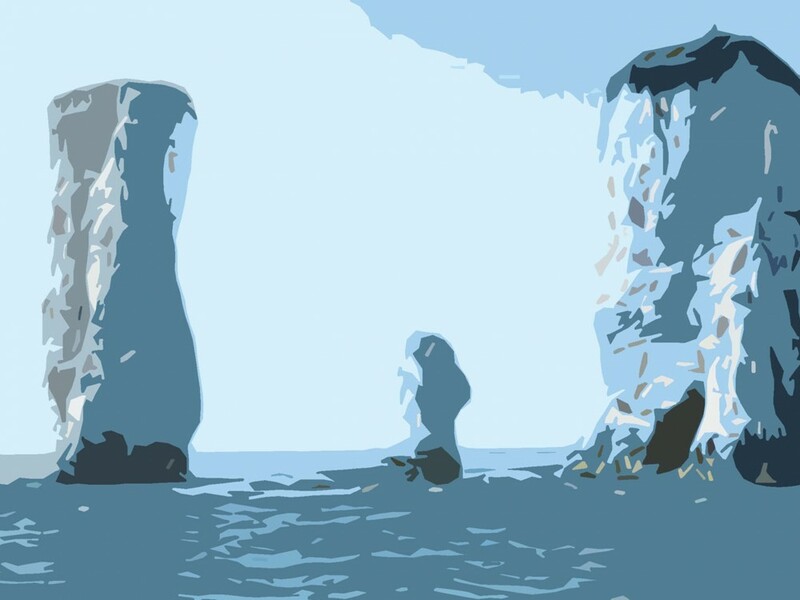 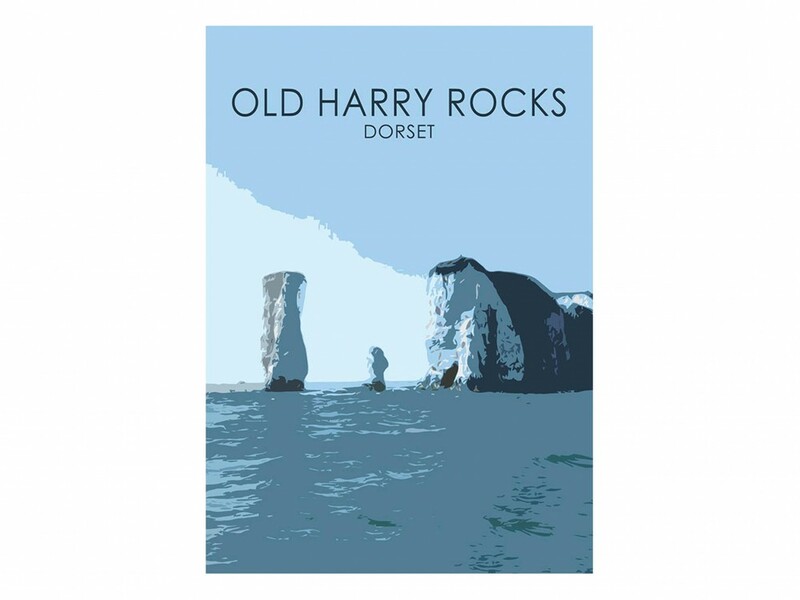 This poster print of Old Harry Rocks grabs all the attention with its blue hues and coastal appeal of Dorset. 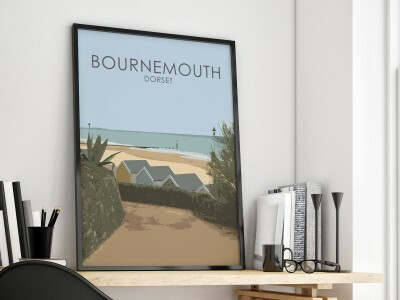 Its chunky element to the detail looks great in both small and larger prints.